Day 1: Registration 9.45am – Finish 4.15 pm. You can change your mind at any time by clicking the unsubscribe link in the footer of any email you receive from us, or by contacting us at voice@christellaantoni.co.uk. We will treat your information with respect. For more information about our privacy practices please visit this page. This course is designed to offer essential knowledge and training to SLTs working with the transgender client group. The main focus will be on therapy interventions with transwomen, (male to female), the majority trans people population currently referred to SLT services. 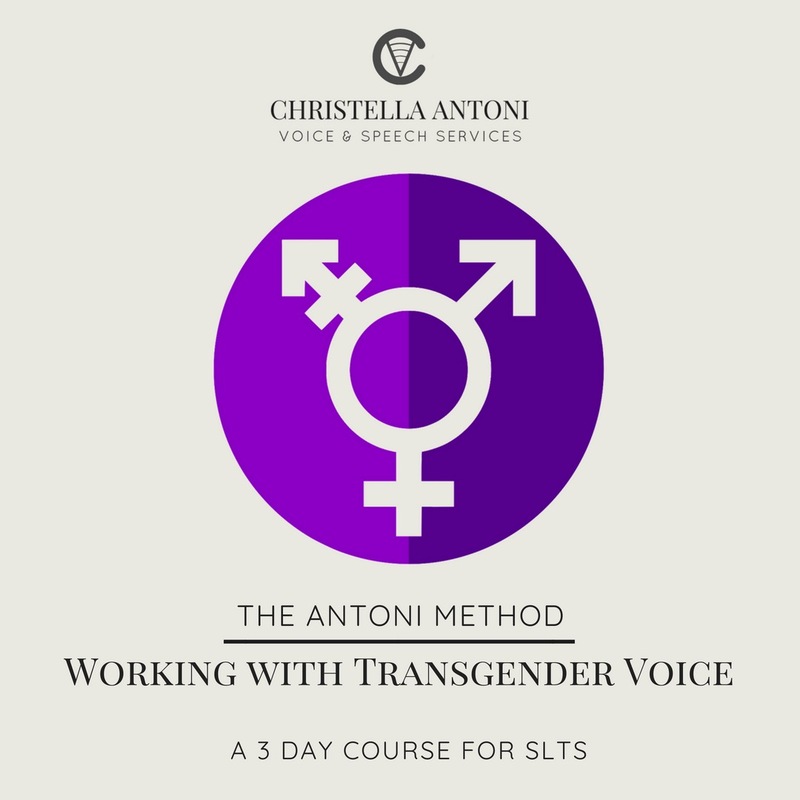 As well as updated necessary Information in the transgender field of practice, strong emphasis is placed on learning practical, achievable therapy exercises for effective voice change. There is an opportunity to witness ‘ therapy in action’ – live therapy demonstrations carried out by Christella with trans individuals at various stages of their voice transition. 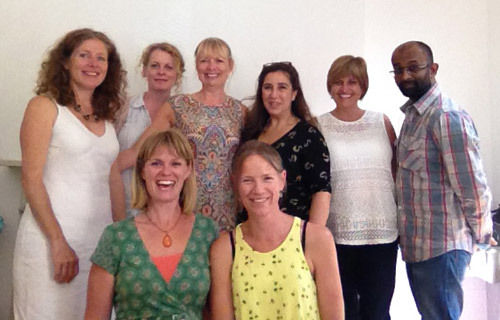 This course has been running since 2002 and is consistently rated as ‘excellent’ by attendees. The learning atmosphere is comfortable, relaxed and supportive with opportunities to ask questions. Study day in gender dysphoria, including: diagnosis, terminology, medical and surgical interventions and an overview of the role of the SLT from referral to discharge. 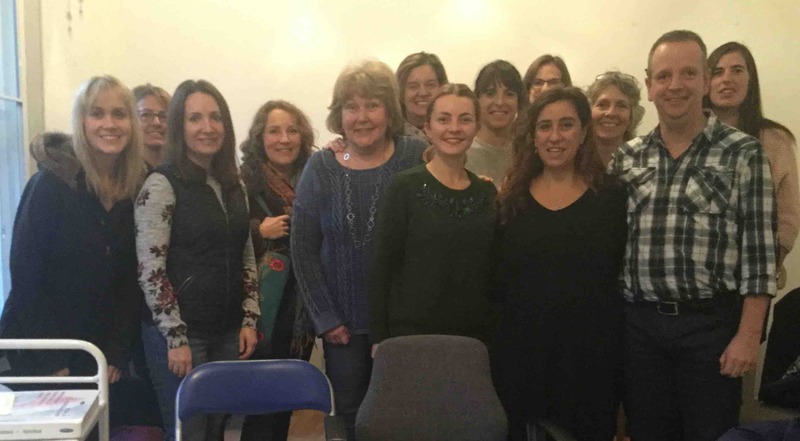 SLT practical skills day – Assessment ; therapy: learning and practising the essentials of voice feminisation: resonance, pitch and intonation with therapy examples. Observation of therapy. SLT practical skills day: speech style aspects, task progression and effective generalisation of therapy voice to general voice. Trouble shooting common challenges . Observation of live therapy.